do you really have to complain about being pregnant? i know that pregnancy goes along with being a woman, but for some, for many actually, so does infertility. do you know how much i’d love to complain about having sore breasts? do you know how much i’d love to complain about growing out of my clothes(and not just because i’ve been eating too many french fries or potato chips)? do you know how much i’d love to complain about needing to go to the bathroom ‘all the time’? do you know how much i’d love to complain about not being able to get comfortable in the middle of the night? do you know how much i’d love to complain about all the work it’s gonna take to get a nursery prepared? do you know how much i’d love to complain about a grueling labor and delivery? do you know how much i’d love to complain about swollen ankles? do you know how much i’d love to complain about not being able to see my toes? do you know how much i’d love to complain about getting pregnant too soon after getting married? do you know how much i’d love to complain about getting pregnant during one season vs. another? do you know how much i’d love to complain about it taking two months to get pregnant? or three? or four? or six? or eight? or ten? or twenty? do you know what it’s like to try to get pregnant for 78 months? do you know how hard it is to think about what i’d love to complain about only because i’ve heard you complaining about it? chances are, you don’t. because do you ever stop to think about who is around you when you are complaining? do you ever wonder if there are women in your midst who would love to complain about what you are complaining about? do you ever think about, for them, how painful that might be? i think that maybe, you should. i have been looking to write since my last post in october. posts have been thought of, never started. posts have been started, never completed. 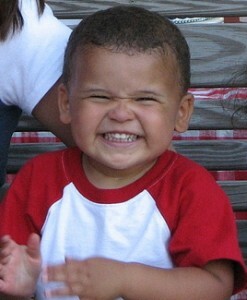 my little boy turns 5 tomorrow and it hurts. my little boy who was 15 months old when he came home. my little boy who slept in a crib, wore diapers, used a pacifier, ate with his hands, sat in a highchair, wore a bib. my little boy who started walking the day before he came home. my little boy who needed me to help him walk because he was really, really wobbly. 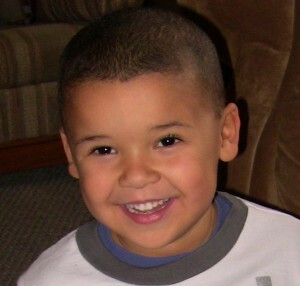 my little boy who learned how to talk, use silverware, use the toilet, go up and down the stairs-all with me. my little boy who started school, learned to ride a bike, slide down a slide, swing-all with me. 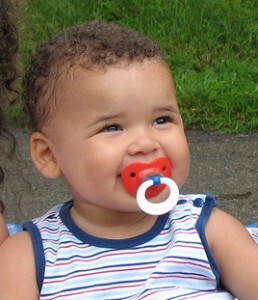 my little boy who loved to have me sing the ‘sleepy baby’ song, one i made up just for him. my little boy-the closest i’ve been and will likely ever be to having a baby. 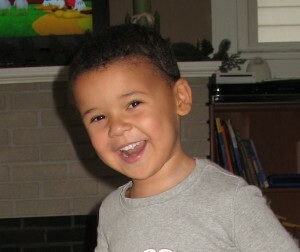 my little boy, my little baby, turns 5.
you always hear about how fast kids grow up. and it’s true. it’s a little hard for me to comprehend that our other two children are 8 and 6 1/2 already. but it’s really hard for me to comprehend that our youngest is going to be 5.
my heart hurts for all the time that has passed. my heart hurts because he’ll never be that little, little boy again. and at the same time, my heart rejoices for all that he has become, for the second chance at life that he has received. my heart overflows with love for the sweet boy he is and for the sweet and kind man i pray he will become. happy 5th birthday little one.